• Meditation is being in the middle of life but attached to none of it. 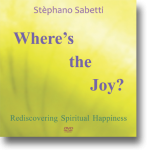 Where’s the Joy examines how many of us have closed our hearts to joy and explains how we can rediscover spiritual happiness by accepting its innate gift. Joy is not personal but interpersonal and transpersonal. It emerges as we distach ourselves from the I. 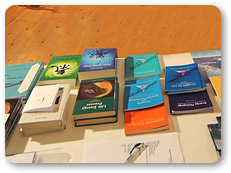 The Path of No Way is a profound research into the nature of reality and our fundamental being beyond the identification with the ego or a psychological self. 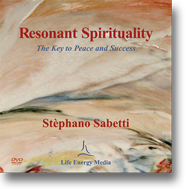 It’s a spiritual journey which incorporates essential spirituality into a lifestyle without beliefs, rituals and fixed practices. The Path of No Way suggests that being spiritual is not a discipline but the natural joy of seeing evolution unfold in front of us. It’s a path without a prescribed way – a relatively formless yet focused life of consciousness, love and surrender to the spirit as it moves in and through us. 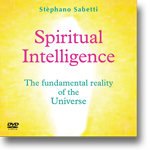 The Path of No Way is based on the unique concept of evolutionary and involutionary resonances which are felt in our bodies and lived in the service of the singular reality we call transcential oneness. Look at the extract of the Video Path of No Way.